UPDATE: The June 28 replay can be found on Soundcloud. 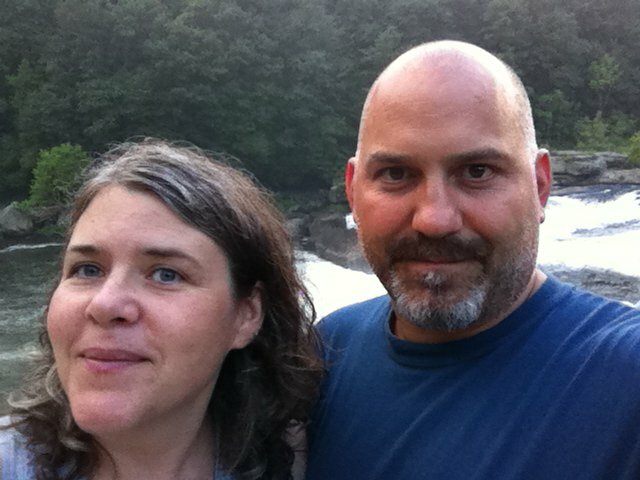 My guest this month is Megan Skinner. Megan is a professional clairvoyant, spiritual counselor, author, tarot reader, and astrologer. We will be speaking about the current energetic frequency of the cosmos, her journey to her work, and her connection between creativity and intuition. Tune in at www.newsforthesoul.com. Click the purple Listen Live button in the upper righthand corner. If you have questions you want to have answered live on the air, please email them to me via my website or via ONTHEAIR@telus.net or call in 646-595-4274. My guest this month was one of my nearest and dearest, Conrad Hamather. Conrad is an energy intuitive and an instructor in the Fashion Department at The School of the Art Institute of Chicago, our alma mater. We spoke about the creative process, its connection to intuition, and Conrad’s journey from artist to intuitive channel. It was such a fun conversation and has spurred an interest in pursuing the conversation of creativity and intuition in future shows. You can listen to the recording here. 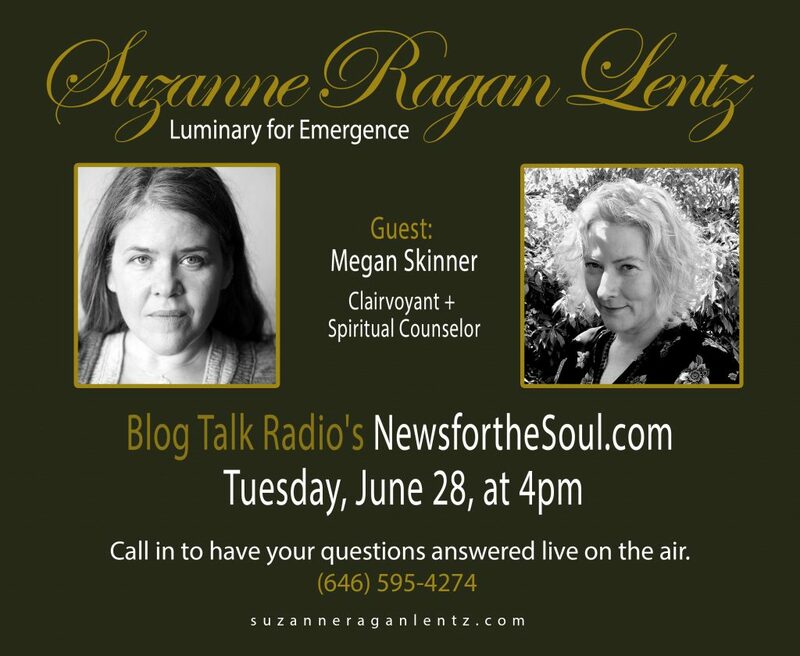 Next month on June 28 at 4pm, my guest is Megan Skinner, an astrologer and tarot reader, based in Seattle. At our essence, we are energy. This energy is also referred to as our soul. Our souls exist as energy before we are born and after we die. Spirit babies are the souls of babies ready to be born. They select their parents and many times are awaiting the correct timing for conception to occur. Others are still waiting for exactly the right moment to be conceived and to be born into our world. At other times, energetic blocks in regard to conception are present in the form of past life or ancestral trauma. If you have any sort of difficulty conceiving, you know the amount of stress involved. Ironically, stress is a leading cause of fertility issues. This is why my first priority is always my client. 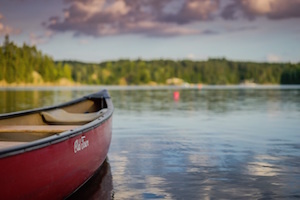 Sessions include balancing the energetic system consisting of chakras, conveying intuitive information, connecting to the energetic essence of your baby-to-be, and focusing on do-able self-care practices. Flotation talks, green smoothies, and meditation are among my go-to self-care practices as each relaxes the cells in the body. To understand what stress does to the body, clench your fists really tight. Do you feel how tight that is? Now imagine the cells of your uterine wall clenched like that. How is a blastocyst ever going to implant if your cells are clenched that tight? Now breath, unclench your fists and allow your cells to relax. In a relaxed state, your body is more receptive to conception. Our souls carry an energetic imprint of past life experience, while our physical cells carry epigenetic data of our ancestral line. This is why clearing energetic blockages in the body acquired during this lifetime, genetically, or from traumatic events in a past life is so important. I have found in my practice that past life traumatic loss of children and the grief associated with such a loss can manifest into fertility issues during your soul’s current lifetime. This was true in my own quest to conception as well as in the journeys of many of my clients. Another commonality is energetic blockages in the lower abdomen (Sacral Chakra). Before committing to this life, our souls make arrangements based on what they need to learn during this lifetime. In the case of IVF using donor eggs and/or sperm, there is a more complicated family arrangement contracted on the energetic/soul level. One thing I tell my clients is to have an open mind as to how babies and children come into your life. Even if they are not biologically yours, in the soul realm, your children are meant to be raised by you. There are no accidents to who is born when or to whom. There are also no accidents to how a child comes into your life. Remember to stay open to the possibility of a child rather than the method in which they will arrive. Working with women who are trying to conceive is one of the most fulfilling parts of my practice. I’d love to hear about your experience.